Mo'Butter 1.7 oz - A rich creamy formula of life-sustaining oils that melts right into your skin to heal dry, cracked, sensitive patches, and stretch marks, while at the same time sustains your skin's elasticity, tone, and hydration. How to Use: Perfect for dry patches, hands, and feet. Start with a dab and continue to apply as needed. Lip'Rico .16oz. - Rich creamy lip balm handcrafted of life-sustaining nourishing oils that protect, moisturize, and soften, while at the same time heal dry, chapped, and cracked lips. Use: Simply apply to your lips in the day and overnight. Our Skin Is A Gateway - Harmful Chemicals Can and Do Enter Our Bloodstream Through Topical Application-Know Your Cosmetics. 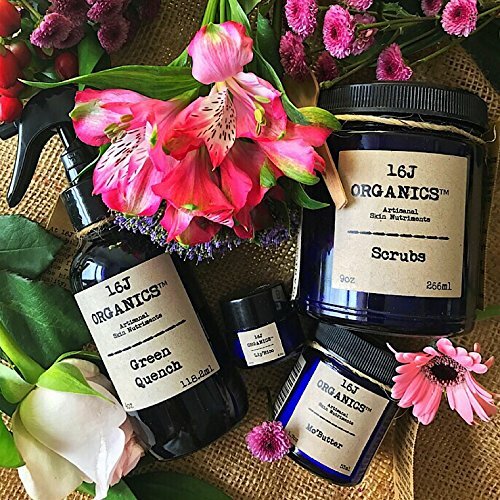 If you have any questions about this product by 16J Organics, contact us by completing and submitting the form below. If you are looking for a specif part number, please include it with your message.